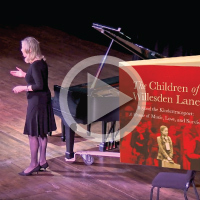 Thousands of PPS middle and high school students have been studying the work of Mona Golabek, whose book, "The Children of Willesden Lane," tells the story of her mother's escape from the Holocaust during World War II. Many of the middle schoolers recently attended a musical presentation by Golabek at the Arlene Schnitzer Concert Hall that further explored the themes and ideas raised in the book. 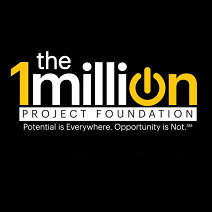 For high school students, access to the internet can play a crucial role in a multitude of crucial tasks, including homework and researching and applying to colleges and careers. High school students in Portland Public Schools who need it can get free internet access at home, thanks to a program that started this year. ACCESS Academy eighth-grader Soren Cowell-Shah was awarded a prestigious, nationally competitive scholarship from the Institute of Educational Advancement. Soren was one of 30 students from around the country awarded a Caroline D. Bradley Scholarship, a merit-based award that covers the cost of attending four years of high school. Next week’s Pulse comes out on Wednesday. Due to schools and offices being closed on Monday in observance of Veteran’s Day, next week’s Pulse will be published a day later than normal and will be sent out on Wednesday, Nov. 14.